Stacy Collins and Bailey Ross enjoy the loud applause from the audience in the Wood Gym. Behind them stands 2018 Princess Hannah Bright and 2017 King John Catalano. 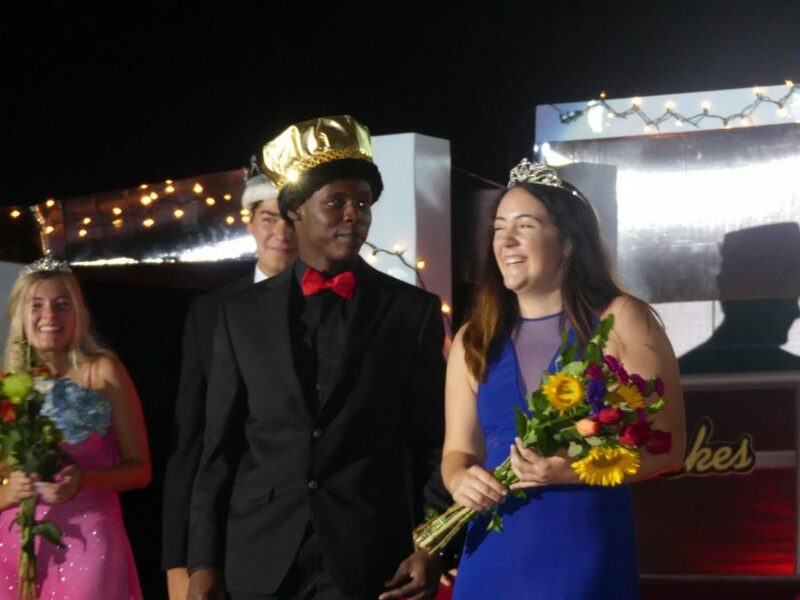 Varsity football captain Stacy Collins and student council leader Bailey Ross were crowned Homecoming King and Queen at the assembly on Friday, Sept. 14.